I truly cannot say enough good things about Aaron and Laura’s work both from a quality perpective and their work ethic. From the start of the project through to completion, they were tireless, working with us through all our questions, assisting with information to help us with all the decisions. A project like this is bound to get complicated, but not with Laura at the helm. She was pro-active, keeping us in line with what was needed while not overwhelming us with information. She consistently went above and beyond in order to get us to where we are today with a beautiful pool that looks like a magazine picture. Aaron was always the first one here every day, and the last one to leave. The quality of his work is beyond reproach and even the neighbors made positive comments about the way the cleanup was done everyday to avoid impact to anyone else. 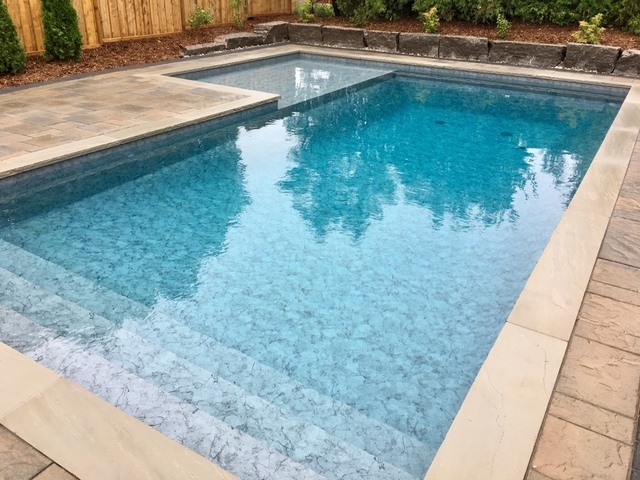 If you want a beautiful and well built pool without the stress that usually goes with these types of renovations, we recommend Steele Pools without reservation! Wow! Alexandra & Blake, thank you so very much for your kind words! 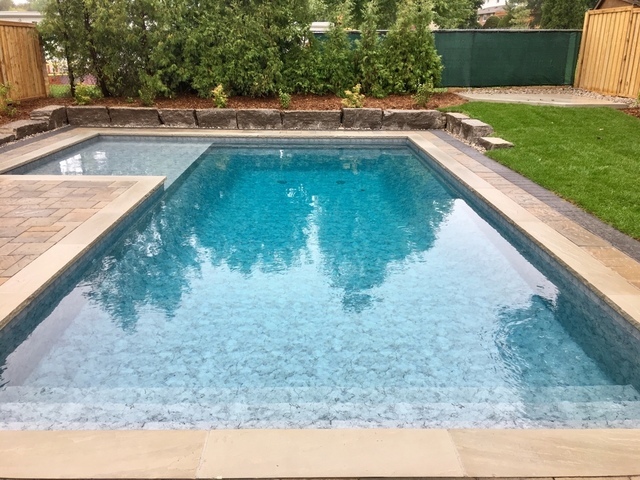 Right from the start we were so excited that you chose us for your pool project. It was so much fun deciding on the tanning ledge and your great choice of the Blue Ice Natural stone coping. We are so pleased with how your pool turned out and can't wait for you to have a full season of swimming next year!